At Toyoda, from install to production, we give our customers the knowledge and tools they need to optimize their machining operations – setting the industry standard for highly efficient machine shops. Continuing this mission is our four-part Grinder Insight Series aiming to educate customers on the in's and out's of their machine, providing a comprehensive resource into their machine’s capabilities. In the latest edition, our Grinder experts have compiled a helpful checklist of pre-production steps shop owners should take for the most optimally smooth grinding process of their TOYODA grinding machine. Please note: The checklist below was compiled with Toyoda machines in mind. Always reach out to your machine manufacturer for proper machine setup. Part 3: What steps should I take to ensure my Toyoda Grinder and part are correctly setup for production? (1) Ideally, the foundation of your machine should be isolated and kept away from areas with temperature fluctuations, like overhead doors, where trucks are commonly coming in and out. (2) When selecting the ideal space for your grinding machine, keep away from heavy milling or stamping equipment that can cause vibration. (3) Ensure that your foundation is equipped with clean, uninterrupted power to the machine via a transformer. (4) Install a Ground Rod next to electrical cabinet that is drilled into the cement foundation and connected. 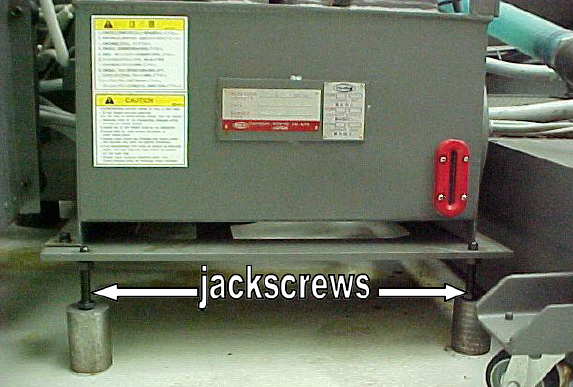 (1) Install all jackscrews in the electrical panel and hydraulic pump and leveling jack bolts in the base of the machine before setting it on its foundation. (2) Place individual units, such as control console and coolant tank, in according to the floor plan located in the SPECIFICATIONS OF MACHINE manual. 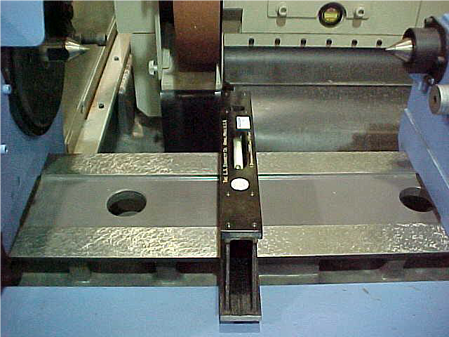 (1) To level the machine, use a 3 point leveling system (Front-Right, Front-Left, and Rear-Right). 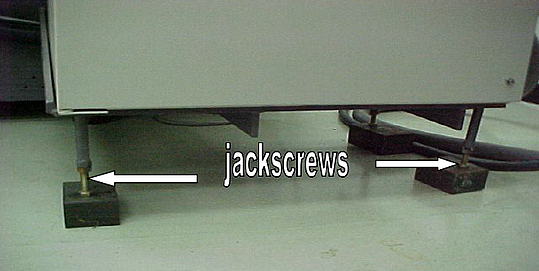 (2) Raise the other jack bolts before leveling to ensure they aren't in contact with the jack bases. (3) Clean the table surface. (4) Place a precision level (.02mm or .0005’/12’) on the table in the right left position. (5) Level the machine using two front jack bolts. After leveling, tighten the lock nuts. (6) Place the precision level in the front to rear position. (7) Level the machine by using the rear jack bolt. After leveling, tighten the lock nut. 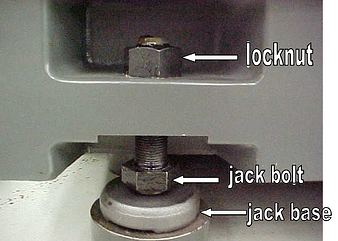 (8) Tighten the remaining jack bolts until they make light contact with their bases. Confirm that the original jack bolts are still snug. 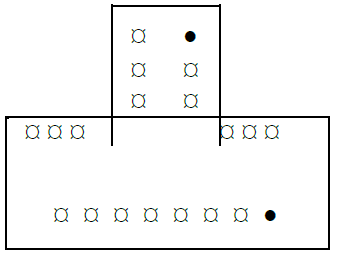 (9) Confirm the machine is still level in both directions. If yes, finish tightening the lock nuts. If not, redo this step. (10) Tighten the jackscrews on the electrical panel and the hydraulic pump. (1) Ensure that carbide tip centers are not damaged. (2) Centers of the parts should be free of burrs or debris to prevent rotational inaccuracies. (3) Use a clean single point/cluster/fleece diamond or a fresh rotary disc (depending on the dressing technique). (4) Align centers to prevent taper within the part. 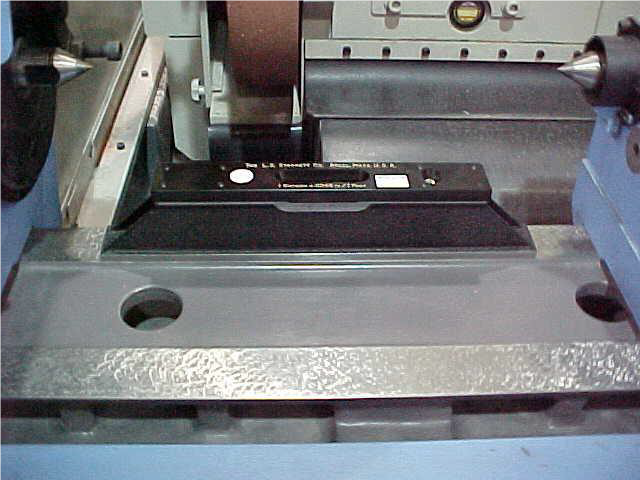 (5) Use a balanced grinding wheel that's been ring tested & speed rated for your machine’s RPM. (6) Ensure that the wheel has been properly dressed. (1) Ensure that the upper table is completely cleaned of burrs and debris. This will allow the workhead and footstock to slide smoothly without damaging the table when repositioning. Not doing so can also cause taper if debris gets lodged behind the dovetail. (2) Filters should be cleaned and up-to-date on maintenance. (3) The media used for filtration should be free flowing to support constant proper filtration. (4) The fabric filtration shouldn’t be clogged or over saturated and set at a proper speed to prevent flooding. (5) Way lube system should be cleaned for lateral locator and process gauge to prevent faults. This is equally important for any hydraulically actuated components. (6) Ensure that the magnet is regularly cleaned as it can get very dirty, very quickly. (1) Ensure that oils and lubricants are topped off. (2) Have a clean coolant tank with as much particulate removed from the coolant as possible. (3) Using a refractometer make sure that you have proper coolant & water percentage. (4) Verify that your hydraulic fluids are clear and free from water or coolant. (5) Ensure that the machine’s casting has all of the swarf cleaned from the corners and from the coolant returns. This promotes proper evacuation and temperature regulations of the casting while preventing alarms. (6) Check for proper coolant flow to the grinding wheel so that parts don’t heat up or burn.